Alpha Industries belongs to a very select club of American fashion icons - in the same distinguished company as brands such as Levi jeans and Nike trainers. 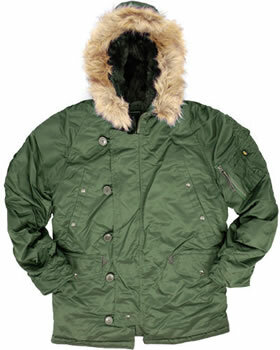 Alpha Industries traces its heritage back to three companies started in the 1940s and '50s. Superior Togs Corporation began life in 1948 and produced several flight jackets including the B-10 which was the US Army Air Force's first cloth jacket to replace the earlier leather flight jackets. The owners of Superior Togs started a new company in 1952 called Rolen Sportswear which created iconic flight jackets including the MA-1 and B-15. Finally, in 1957 Dobbs Industries started producing MA-1 and N-2B jackets for Rolen Sportswear. Dobbs was located in Knoxville, Tennessee - the same location as Wynn Industries who also supplied clothing to the US army and leased factory space and machinery to Dobbs. Dobbs Industries produced the MA-1 Flight Jacket (often just referred to simply as an MA1) in 1958. They replaced the traditional fur collar on the B-15 jacket with a more practical knit collar. This jacket was used by the US military forces from the 1950s until the 1980s and became probably the most iconic flight jacket of all time. In 1959, the owner of Dobbs Industries founded a new company in Knoxville, Tennessee. When incorporating the company, the new owner was asked what name it should be called. Looking around his lawyer's offices he saw an Alpha Phi Delta law fraternity certificate on the wall and told him to name the company Alpha Industries. And so saw the birth of the legendary company Alpha Industries Inc.
During the first 12 months of its existence, Alpha Industries worked on sub-contracts for Dobbs Industries. But at the end of 1959 Alpha Industries won a contract directly with the US Dept of Defense to manufacture N-3B parkas and a US Navy shirt. The decade of the 1960s saw American military effort in the Vietnam War and obligations due to the Cold War with the USSR. Consequently, Alpha Industries found itself inundated with contracts for military clothing and emerged as the dominant supplier, especially of the MA-1 Flight Jacket and the M-51 and later M-65 Field Jackets (often just referred to as an M65). In 1963, Alpha made some modifications to the MA-1 Flight Jacket and produced what was to become the classic style. They introduced a bright orange lining meaning that if an aircraft was shot down, the aircrew could turn the jacket inside out to make themselves more visible to a search and rescue mission. The reversible nature of the jacket meant the label was discreetly hidden inside the lower side pocket. It was also around this time that Alpha Industries began exporting the MA-1 jacket to Europe. 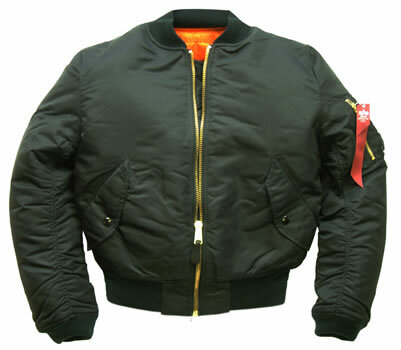 Other classic designs by Alpha Industries include the N-2B Flight Jacket made in 1963. This originally had a coyote fur trim around the hood to keep out snow and wind but this was later changed to synthetic white fur after protests by animal rights groups. Another jacket was the L-2B which was a lightweight summer version of the MA-1 which replaced earlier leather flying jackets. The M-65 Field Jacket as we know it today has a couple of notable predecessors. Firstly, the M-43 developed for the US Air Force in 1943. Then in 1951 came the M-51 jacket. This had a few modifications including buttons on the inside to attach a liner and a covered zip meaning soldiers could crawl on their front without risk of snagging or opening the jacket. Finally, in 1965 came the M-65 jacket which replaced the earlier cotton fabric with a nylon/cotton mix making it more indestructible and wind resistant. Also, a hood was hidden inside the collar and a triangular device inside the cuff allowed for a glove to be attached to protect against radioactive fallout in a nuclear battlefield. The 1970s saw rapid growth in Alpha Industries. This was partly because more contracts were being issued due to the Vietnam War and Cold War. But also because the Dept of Defence decided that separate garments were needed for the different weather conditions their armed forces might be operating in. Most notably, in 1970 the contract for the MA-1 Flight Jacket was awarded to Alpha Industries. At this time the jackets had a wool interlining but this began to be replaced by polyester over the next few years. It was also during the seventies that Alpha first began selling their clothing to the civilian market. Initially, they would use spare capacity in their factories between government contracts to produce jackets that were then sold to army and navy stores and military surplus distributors. The Alpha brand soon began to gain widespread awareness among discerning consumers who wanted truly authentic high-quality American military clothing. And so Alpha started to supply commercial clothing wholesalers with the same jackets they were making for the government, most famously the M-65 Field Jacket and the MA-1 Flight Jacket (which they made available in black and navy blue as well as the traditional sage green). The jackets produced for the military and civilian markets were identical in every respect but one. The factory workers needed an easy way to identify at a glance which jackets were meant for military contracts and which for commercial contracts. The solution was to add 3 lines to the label on commercial garments, whereas the military ones had just one line. This 3-line feature is now incorporated in the Alpha logo that is found on all their jackets and is recognised internationally. During the 1980s Alpha Industries accelerated its supply of garments to the commercial market and became a global brand of military-inspired clothing. It was during this decade that Alpha trademarked its now famous 3-line mark used on its labels. The availability of new materials saw Alpha produce the quilted CWU 45/P fire-resistant Nomex flight jackets. 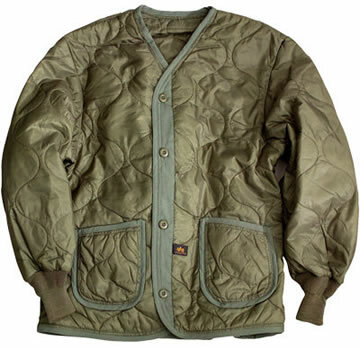 In 1985 the first camouflage versions (woodland, desert and jungle) of the M-65 Field Jacket were produced in addition to the traditional olive green colour. Also during the eighties, Alpha's international reputation meant they started supplying foreign military establishments with specially-produced garments. For example, a version of the MA-1 Bomber Jacket with shoulder epaulettes was made for ceremonial use by the Israeli Air Force. In the 1990s, following the collapse of the USSR and a quick victory in the Iraq War, fewer government clothing contracts were awarded. This was coupled with a tidal wave of inexpensive foreign-made clothing flooding the commercial market. To meet these challenges, Alpha developed a range of new designs to appeal to consumers. 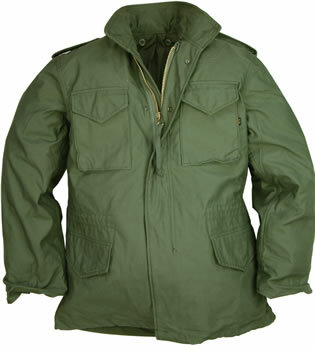 For example, the ALS/92 liner which could be buttoned into the M-65 Field Jacket for warmth or turned inside out and worn as a separate jacket. Alpha also began to focus more on commercial advertising and marketing - something not necessary when dealing with military contracts. Now in the twenty-first century, Alpha Industries has become the world's leading brand for military-inspired clothing. New products including accessories, children's clothing and even pet clothing have been launched. Alpha flight jackets are worn by Hollywood actors, superstar musicians, American presidents and of course all those everyday folk who recognise the quality and heritage an Alpha jacket represents. Mean and Green is proud to be an authorised stockist of genuine Alpha garments. View the range of Alpha Industries Jackets now.